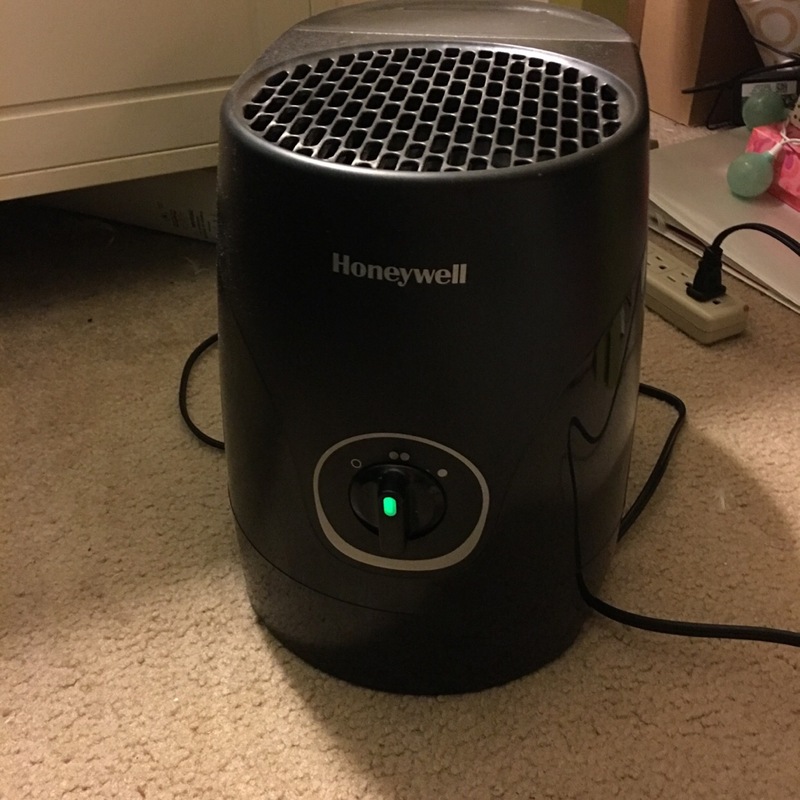 I received the Influenster #HumidifyMe Voxbox in early November. I was thrilled when I got the email saying my humidifier was on its way. Humidifiers are a requirement when battling the dry Minnesota winter air, plus they make the cold/flu season bareable. The Honeywell cool moisture humidifier has a stylish design with the tank in back, rather than on the side. The humidifier is so quiet that I forget that its on. The water tank is brake resistant and it has a wide opening for easy filling & cleaning. It will run up to 18 hours and has 2 speed settings. I am in love with this humidifier. I never thought I would say something like this but I am in love with it. It is so easy to fill, I just pop off the top, throw it under the tap, and plop it back on to the unit. I don’t have to struggle with a side container or crazy filter, it’s just one, two, back to moist air please. I would highly recommend this model to anyone who doesn’t like a lot of noise while they slumber. You will forget that you have this little bad boy running, it is literally that quiet. Bonus the little power indication light is not blaringly bright so you my dear won’t even notice that either. You will have beautiful moist air sleeps. Go on now, go on out and get yourself one! You know you want moist air in your life! !